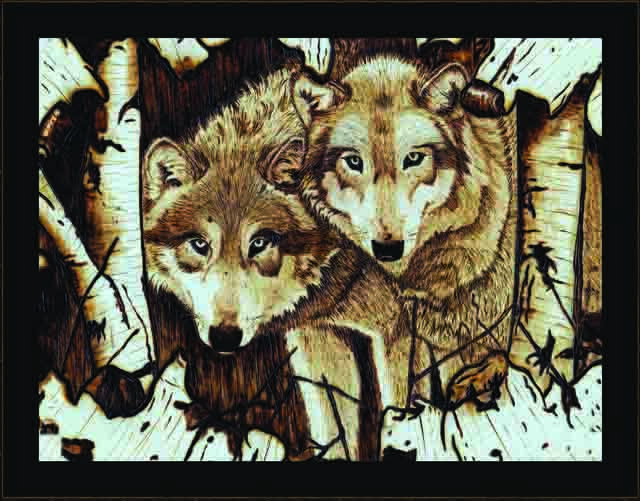 Gourds are a great medium to burn on. 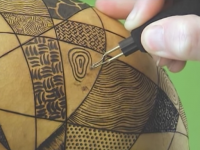 In this video, Australian pyrographyer and author Sue Walters demonstrates a simple technique to divide a somewhat irregularly shaped gourd into sections. 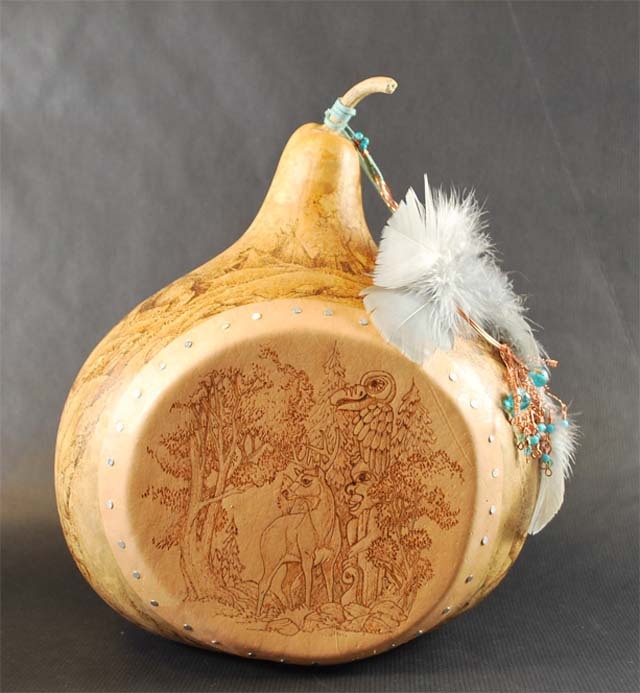 Then Sue shows how to burn a simple quilt-inspired pattern onto the gourd. 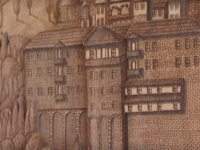 Ivaylo Hristov of Bulgaria, creates amazing, intricate city scenes using a pyrography tool. 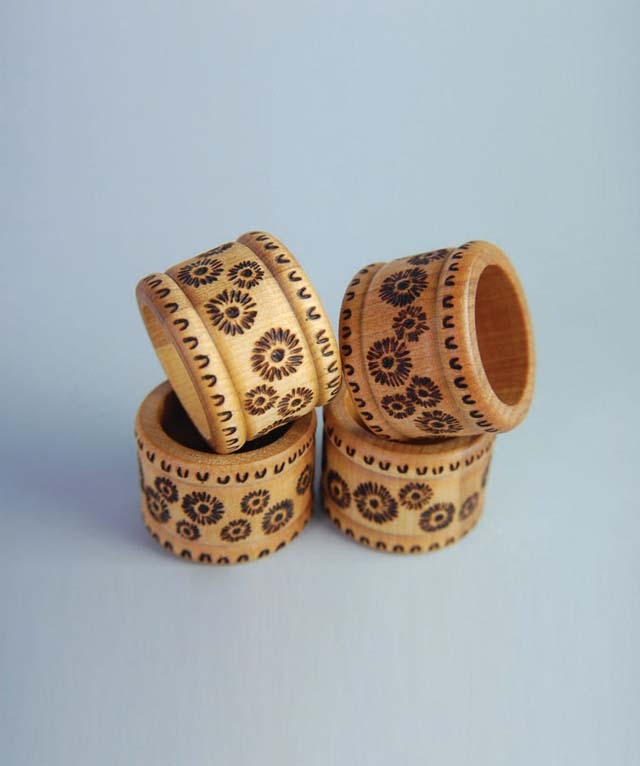 Some of Ivaylo’s work features carved out areas and thin add-ons that increase the depth and dimension of his pieces. 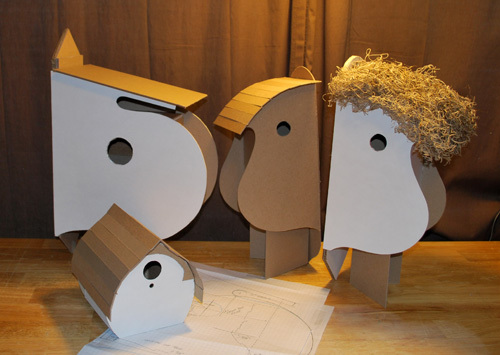 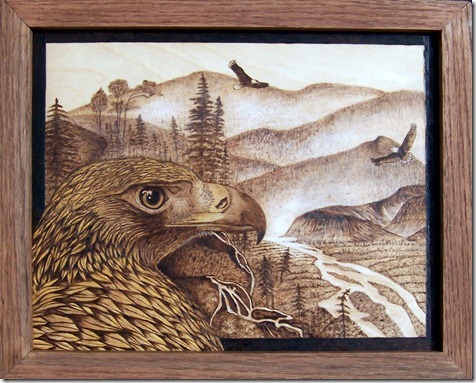 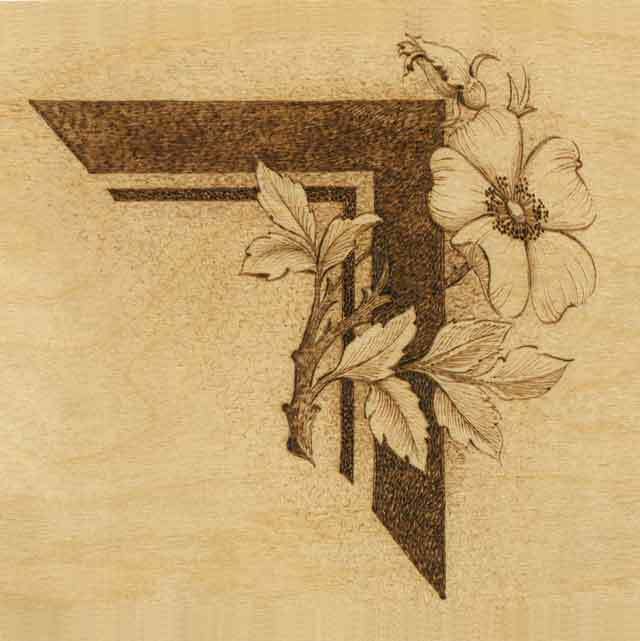 Check out this terrific video from Australian pyrographer and author Sue Walters. 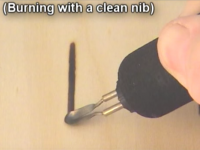 Instead of using an abrasive such as sandpaper, use a fine wire mesh, such as a tea strainer, to clean carbon and other buildup from your burning tips (or nibs).